Russia’s foreign policy is following the lead of the United States. As politicos and pundits wring their hands about alleged Russian collusion and meddling in the 2016 US presidential elections, Dan Kovalik reminds us that the US has been meddling in other countries’ elections and democratic processes for decades, and with terrible results. While the US holds itself out as a beacon of democracy and freedom in the world, the US’s actions stray quite far from this pretense. From Vietnam in the 1950s, when the US blocked elections which would have allowed the Vietnamese people to vote for a unified country and for their own president, to the overthrow of democratic governments in Iran and Guatemala and the consequent installation of brutal regimes which killed tens of thousands, the US has undermined democracies in ways which make the alleged Russian “meddling” (the sum total of which involve claims of social media posts and computer hacking) look like mere child’s play. 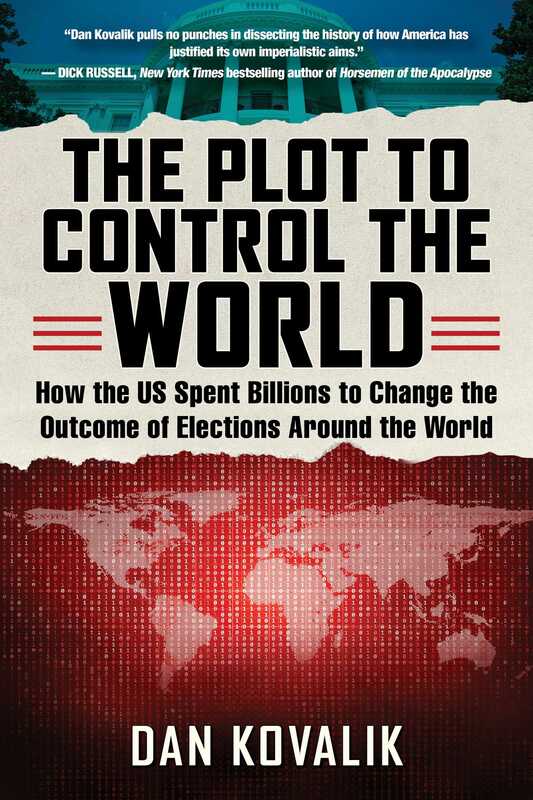 The Plot to Control the World details these instances of US interference and other instances of meddling in other countries’ democratic processes, such as in Nicaragua, Haiti, Venezuela, Greece, the Congo, Honduras, and even in Russia in the very recent past. These examples put the current allegations against Vladimir Putin and Russia into historical context and challenge the reader to consider that, if the US does not want other countries to interfere in its elections, it may be high time for the US to stop its interference in other countries around the world.